No. 23 York St. in Clitheroe has been home to Cramond House Dental Practice since 1947. Being one of the longest established dentists in Clitheroe, Cramond House is proud to offer excellent treatment and friendly service. Choosing a dentist in Clitheroe can be confusing, but our pedigree speaks for itself; some of our customer’s families span three generations here in Clitheroe. Situated in the heart of Clitheroe, Cramond House Dental Practice is easy to find and close to the shops. Parking is easy and free, which makes us a great choice for your dentist in Clitheroe. 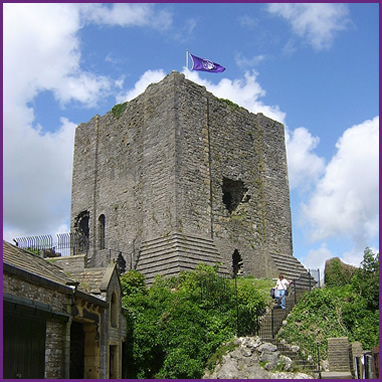 Our dentists are all local to Clitheroe, with a good knowledge of the area and its people, which our patients find reassuring and helpful. Although choosing a dentist in Clitheroe can be daunting, we hope that you will choose Cramond House Dental Practice. If you require any further help or advice, or have anything you would like to ask us when you are trying to decide on a dentist in Clitheroe, please get in touch.